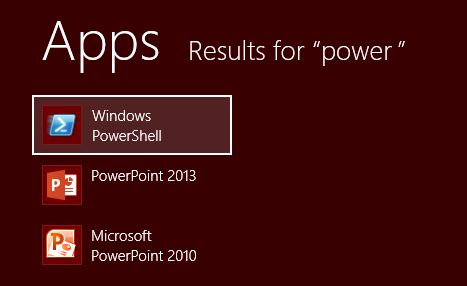 There are numerous modern apps that are a built into Windows 8 and they are featured prominently on the Start screen. It may well be the case that you don’t want to use them because they just aren’t apps you’re interested in, or it may be that you have found a better alternative. 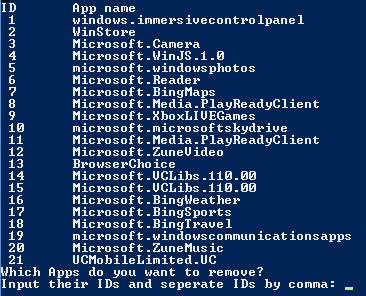 You can right click a tile and selecting the uninstall option, but if you want to remove multiple apps at once you can do so with a PowerShell Script. You can also use this technique to uninstall multiple apps you have installed from the Store. You can download a readymade script from the TechNet Script Center that can be used to select all of the modern apps you want to remove, and uninstall them all at once. Download the script and extract it from the zip file. Launch PowerShell in Administrator mode by pressing the Windows key to bring up the Start screen and then type Powershell. Right click the Windows PowerShell icon and then click the ‘Run as administrator’ button at the bottom of the screen before clicking Yes in the User Account Control dialog. 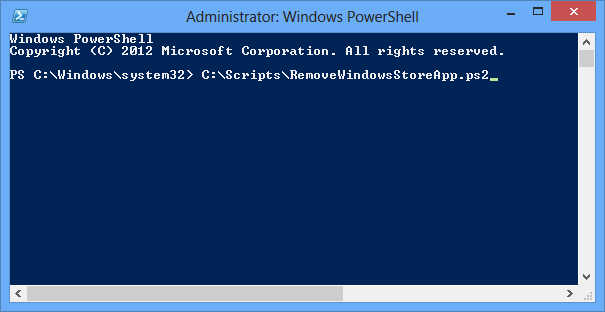 Run the script by typing its full path at the command prompt and then press Enter. You will see a list of all of the modern apps you have installed. This list includes apps that you have installed and those that are built into Windows 8. Each app has a number next to it and you can use these to specify which apps should be uninstalled. Just enter all of the app numbers, separated by commas, and press Enter. Confirm the action and after a moment or two the selected apps will be removed for you. Should you change your mind about an app you have removed, you can easily reinstate it from the Store. It may be that you would like to remove all modern apps form your hard drive, and if this is the case you have a couple of options available to you.